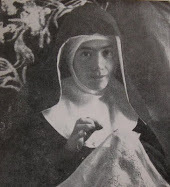 "No one gives me a kiss of love on My face to make amends for the kiss of Judas"
Maria Pierina de Micheli was born on September 11 1890, in Milan, Italy and she was baptized at St. Peter in Sala's church on the same day, with the name of Giuseppina. Suffering came early for Maria Pierina as she had not yet turned two when her father died, leaving the family without his fatherly love and affection along with the sufferings of losing their main breadwinner. 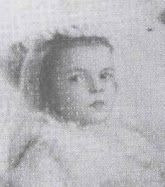 At age 7 on May 3, 1898 she received Jesus in her First Communion. Recalling that day with holy joy many years later in 1943 she wrote- "I saw the baby Jesus in the host. Heaven on earth! Today, only by faith, I know he loves me." "No one gives me a kiss of love on My Face to make amends for the Kiss of Judas." In her childlike simplicity, she believed that the voice was heard by everyone and was pained to see that only the wounds were kissed but not the face. In her heart exclaiming, "Have patience, dear Jesus, I will give you a kiss of love", and when her turn came she lovingly and devoutly imprinted a kiss on His Face. And later as a novice, she was permitted to do night adoration and on the night between Holy Thursday and Good Friday, and while she was praying before Jesus upon the Crucifix, she heard Him say: "Kiss Me." 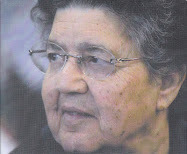 Sister Maria Pierina immediately obeyed and her lips felt not the contact with the plaster figure but contact with the living flesh of the Face of Jesus. 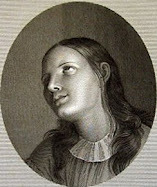 From a young age Giuseppina (Maria Pierina) felt called to be a religious Sister—a bride of Christ. 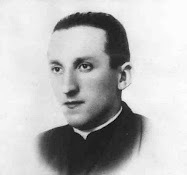 In 1912, the Daughters of the Immaculate Conception came from Buenos Aires, Argentina and settled in Milan, not far from the house of the De Micheli's family. 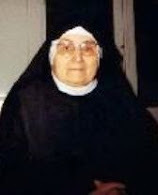 On October 15, 1913, at the age of 23, Giuseppina was accepted by the founder of the Congregation, Servant of God Mother Mary Euphrasia laconis, and joined the Daughters of the Immaculate Conception as a Novice. On May 16, 1916 she made her profession and was clothed in the habit, taking the name of Sister Maria Pierina. "And what have I done?" 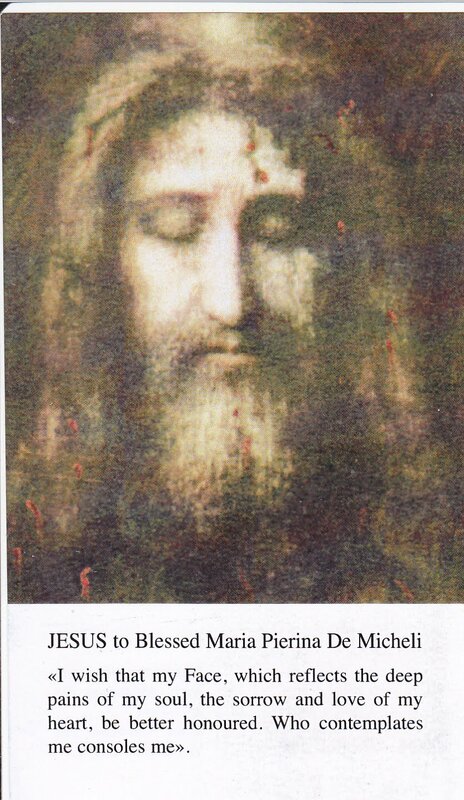 Sister Maria Pierina understood and from that time the Holy Face of Jesus became her meditation book and the door to His Heart. 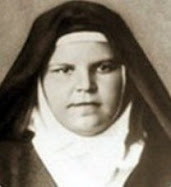 She returned to Milan in 1921 and Jesus continued to grant her many favors, along with various sufferings that are always the lot of true Mystics. 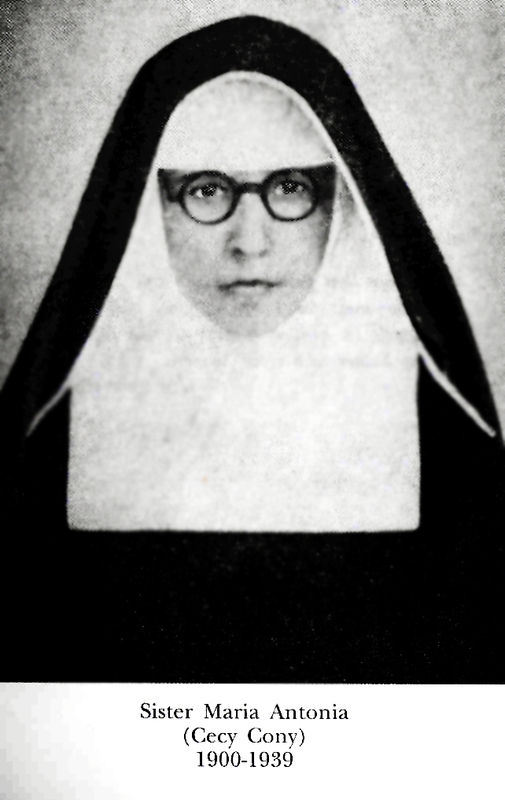 In 1928, Mother Estanislada Tognoni was elected Superior General, but had to return to Buenos Aires. 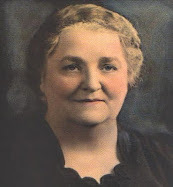 In the same year, Mother Pierina was appointed Superior of the Community of Milan, and then she was later re-elected in 1932 and 1936, and in September 1939, she was elected Superior of the Community of Rome. "I wish that my Face, which reflects the intimate sorrow of my soul, and the suffering and love of my Heart, be better honoured. He who contemplates me consoles me." "Each time my Face is contemplated I will pour my love into hearts and through my Holy Face the salvation of many souls will be obtained." 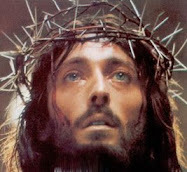 "Perhaps some souls fear that the devotion to my Holy Face may diminish that to my Sacred Heart. Tell them that, on the contrary, it will complete and increase it. Contemplating my Face, souls will share my sorrows and will feel the need for love and reparation. Is this not the true devotion to my Heart?". 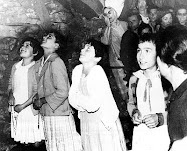 These manifestations became more and more frequent and in May 1938, while Pierina was at prayer in the Community Chapel, a beautiful Lady, which she knew to be the Blessed Virgin Mary appeared on the altar step in a beam of light, holding a Scapular made of two small pieces of flannel joined by a cord. 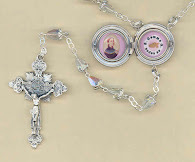 One of these pieces bore the image of the Holy Face of Jesus with the words "Iliumina Domine Vultum Tuum Super Nos" (May the light of Thy Face, 0 Lord, shine upon us) and the other, a Host surrounded by rays and the words "Mane Nobiscum Domine" (Stay with us, 0 Lord). - and they will have a peaceful death under the loving gaze of my Divine Son". "Do you see how I suffer? Yet, very few understand me. Those who say they love me are very ungrateful! I have given my heart as the sensible object of my great love to men and I give My Face as the sensible object of my sorrow for all the sins of men. I wish that it be venerated by a special feast on Tuesday, the day before Ash Wednesday. I wish that the feast be preceded by a novena in which the faithful make reparation with me, joining together and sharing in my sorrow." "I wish that My Holy Face be honored in a particular manner on Tuesdays". 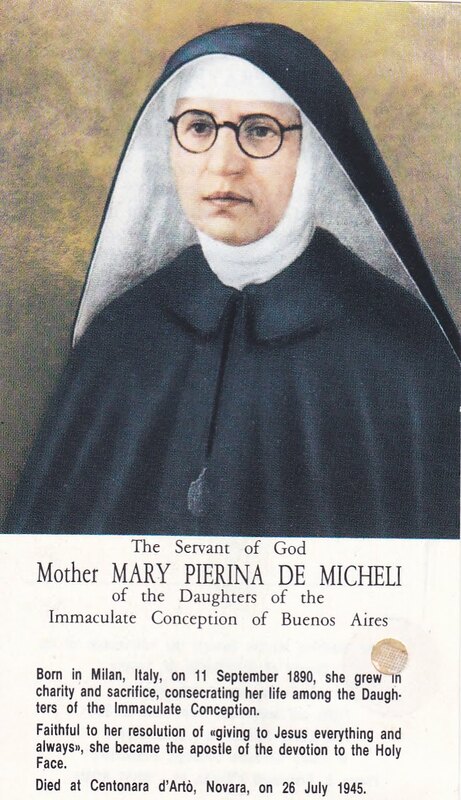 Mother Maria Pierina de Micheli felt the desire of Our Blessed Lady more and more fervent. She obtained permission from her spiritual Director and although she did not have any financial means, she set about the task, as requested by Jesus and Mary. 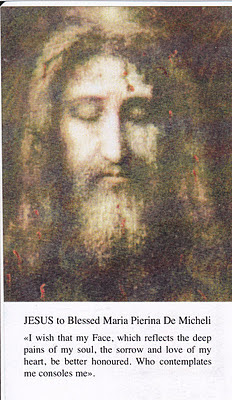 She obtained the permission of the photographer Bruner to take copies of the Holy Shroud as reproduced by him, and she received the permission to do so by the Archdiocese of Milan on the August 9, 1940. Financial means were still wanting, but the faith of the Reverend Mother made up for it. One morning she saw on a little table an envelope: she opened it to find 11,200 Italian liras. Our Blessed Lady had seen to it. The devil, maddened at this, fell upon this soul to frighten it and prevent the distribution of the medals: he threw her down in the corridor and down the steps, he tore the images and pictures of the Holy Face, but she bore up everything. She tolerated and sacrificed all so that the Holy Face may be honored. "My daughter, rest assured, the Scapular is replaced by the medal with the same promises and favours - it only has to be spread widely Now my heart is on the feast of the Face of my Divine Son. Tell the Pope that I desire this." She blessed her and then departed. 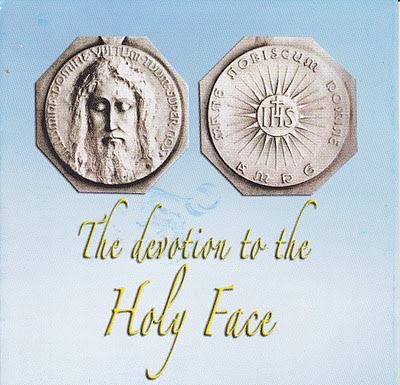 Thus began the spread of the devotion to the Holy Face of Jesus and also the spread of the medal in its honor. 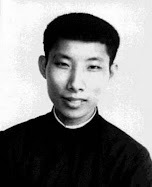 Since then the devotion and the medal have been spread worldwide with much enthusiasm, accompanied all the while by wonderful graces, conversions and cures as a testament and heavenly sign of God's institution and approval of both. 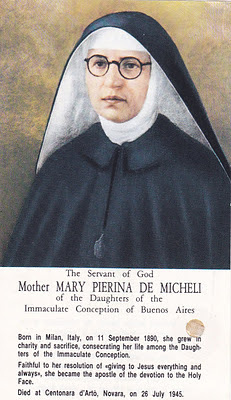 Mother Maria Pierina de Micheli's motto was: "Give to Jesus; give everything; give always." 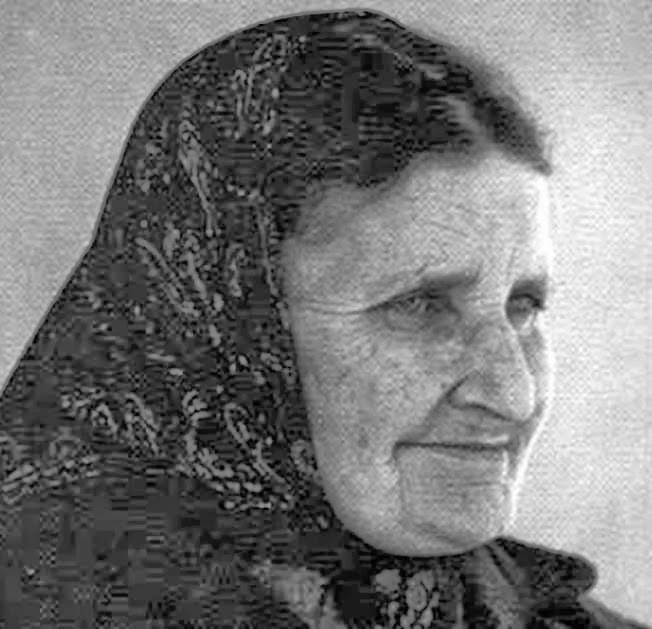 Having given herself and her life completely to Jesus, at the age of 54 surrounded by her spiritual daughters, Mother Pierina joined the One Whom she loved on July 26, 1945, at Centonara d' Arto (Verbania) at the house of the Holy Face. 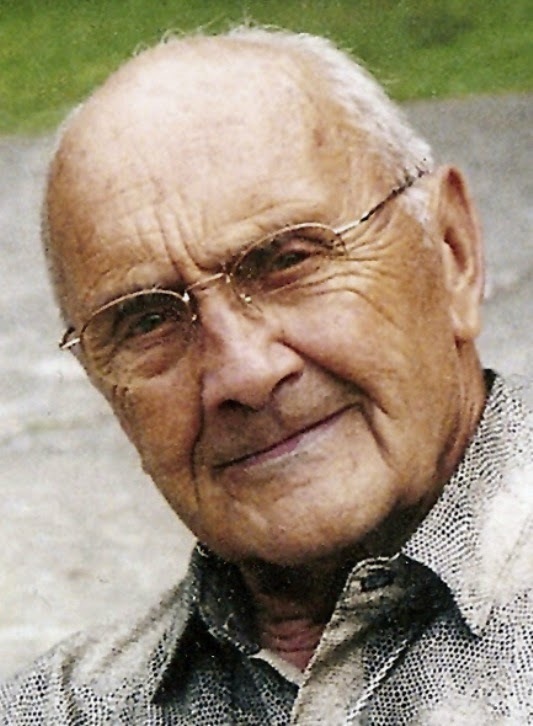 "I felt a deep longing to live always united with Jesus; to love Him intensely because my death can only be a transport of love with my Spouse, Jesus." -Words from the diary of Blessed Maria Pierina de Micheli on July 19, 1941. 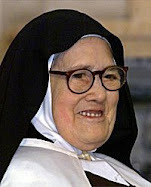 Sister Pierina was beatified on Sunday, May 30, 2010 at the Basilica of Santa Maria Maggiore in Rome- the first beatification ever held within its walls. 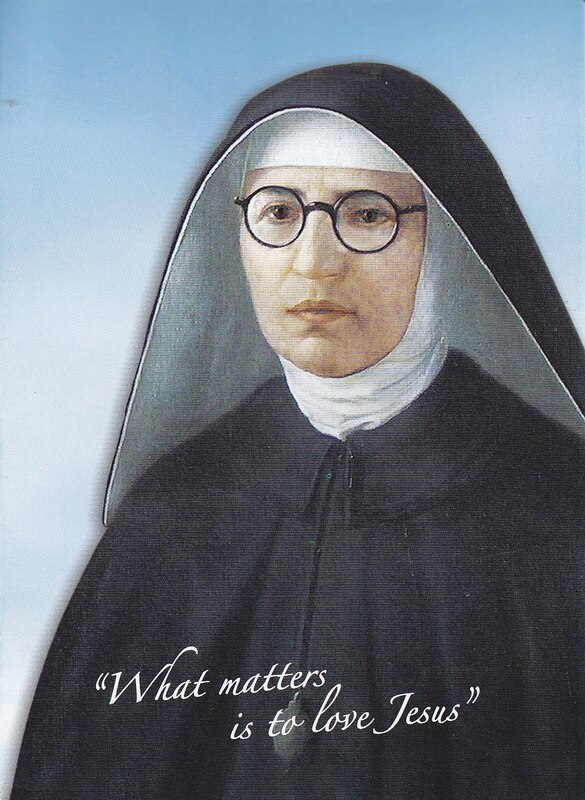 -Blessed Maria Pierina Di Micheli, pray for us! Oh Holy Face of my sweet Jesus, by that tenderness of love and unspeakable grief with which the Blessed Virgin Mary beheld Thee in Thy painful Passion, grant that our souls may share in that great love and great sorrow, and fulfill more perfectly the Holy Will of God. Amen. "Do not deny anything to Jesus." "I want what God wants." 'Jesus I am yours, do what you want of me." Jesus said to me: "Only a few souls let me act with full freedom, so I cannot grant many graces." "This morning I asked Jesus His Heart to love it of His own love, and Jesus told me: "If you knew how I love you, you would die from joy." I said to Jesus: "Do you believe, oh Jesus, that I love you?" And Jesus replied: "Yes, I do. And do you know when I believe it the most? When you think I have abandoned you, because it is then that you most show your loyalty." "O, my sweet Jesus, for your Holy Face bathed with tears, may your Eucharistic Reign triumphs in the sanctity of your priests." "O, my sweet Jesus, for the divine light emanating from your Holy Face, dispel the darkness of ignorance and mistake and be the light of sanctity for your priests." "O my sweet Jesus, for your Divine Face bathed in a sweat of blood in the agony of Gethsemane, enlighten and strengthen the souls consecrated to you." Great article on Bl. 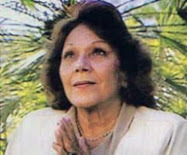 Maria Pierina and the Holy Face Devotion! 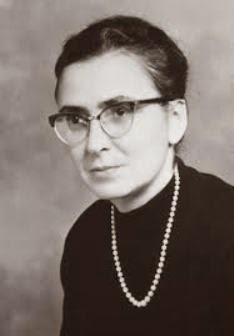 I'd like to share an interesting anecdote that I read about this holy mystic in an Italian biography... it testifies to her supernatural practice of virtue, in particular, of Holy Obedience. It was related that on at least two occasions, Bl. Maria Pierina was close to death's door due to a severe chronic illness. When her confessor - the Ven. 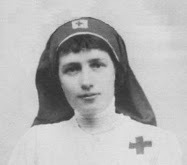 Hildebrand Gregori - learned of her dire condition, he immediately ordered her, under holy obedience, to regain her health and resume her busy schedule. 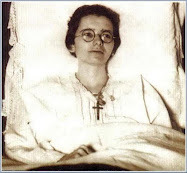 The Blessed, on receiving each command, rose from her sick bed completely restored to health and ready to work. When Bl. 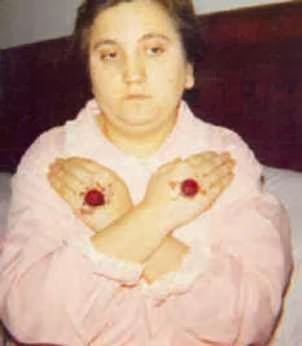 Maria Pierina finally did pass away, her confessor was notified after the fact, and he jokingly remarked that she had finally "escaped" him. Had he known that she was seriously ill, Fr. 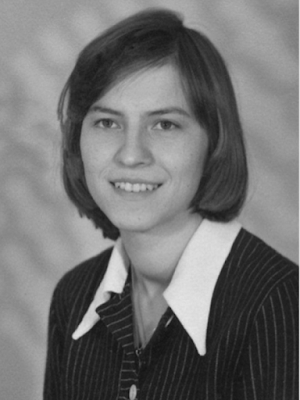 Hildebrand testified that he would have again commanded her to get well, and knowing her unfailing practice of obedience and faith, he was confident that she would have again been restored to health through the power of God. 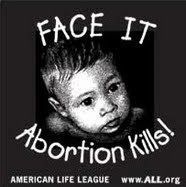 I thought the above was an exceptional testimony to the sanctity of Bl. Maria Pierina, given the fact that Fr. Hildebrand Gregori was also reknown in his time for his personal sanctity... and is now a candidate for Sainthood, as well. 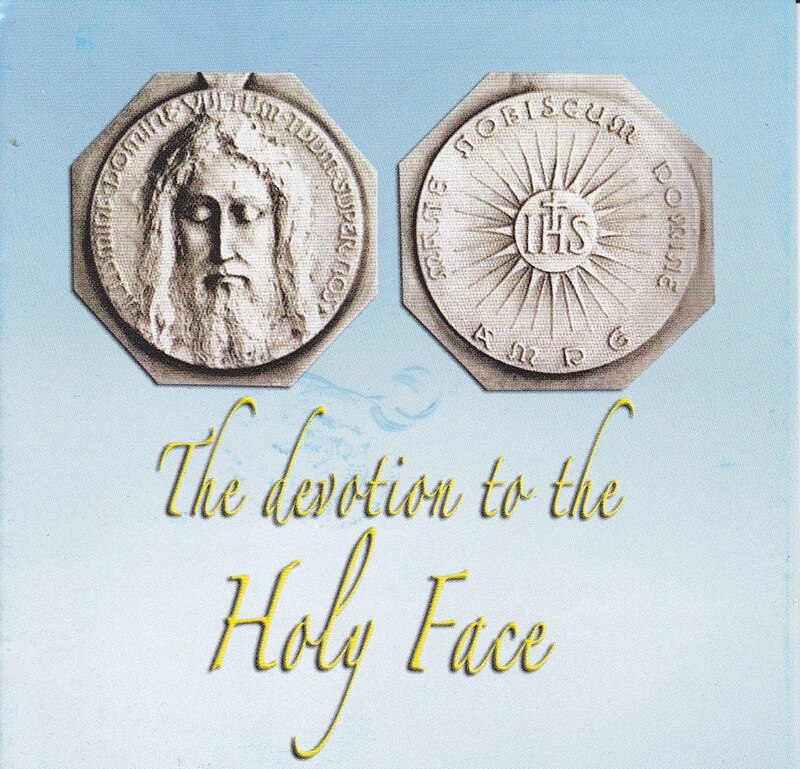 I own a special devotion to the Most Holy Face of Jesus. I can't explain why. It always gives me peace knowing I am pleasing him by my devotion. I wear the medal each day. One day while shopping the woman ringing up my purchase in awe commented on my medal. I told her most of what I know about the Holy Face of Jesus and where I purchased it. She thanked me as I jotted the info. As I left the store something caught my eye. I returned to the dressing room. While in the dressing room I believe it to be Jesus telling me.. Give her the medal. The thought was very clear to me. I returned to make another purchase. She was surprised to see me back again. At once she noticed I no longer was wearing my medal and asked why. I pressed the medal into her hand. A joy came over me and I believe I made Jesus smile that instant. I never saw her again but I know she is devoted to the Holy Face of Jesus as I. You have no idea how this story of this saint put my mind at ease about so past graces I have received when I was younger. At the time, my former spiritual director, who probably was a bit inexperienced in these things, just told me it was not from G-d, however, now as I can see other saints have also had the same experience I had. I know I am not crazy or deceived. May Our Lady give Eric all the Graces he needs for salvation!!! "Holy Mary, Mother of God, please bless Eric McDonald. In the name of Jesus Christ Amen"